All SILVER STRIKE homes currently listed for sale in Park City as of 04/18/2019 are shown below. You can change the search criteria at any time by pressing the 'Change Search' button below. "Welcome to 303 at Silver Strike Lodge, a one of a kind 2 BR/3BA that lives like a 3 Bedroom with additional oversized bunk room in the coveted Ski In/out neighborhood of Deer Valley's Empire Pass. This beautiful residence was remodeled in 2017 and is being sold Turn-Key along with a membership to the exclusive Talisker Club. New carpeting installed throughout in September 2018. 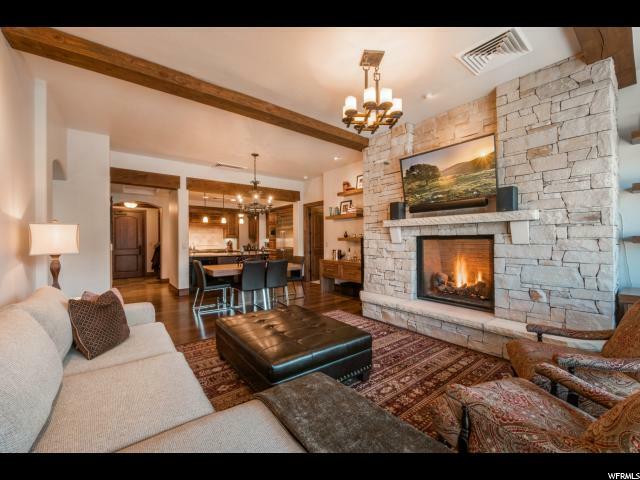 The style and function of this residence can only be surpassed by the breathtaking unobstructed ski runs views along the Wasatch Mountains that can be enjoyed from every room. Thoughtfully added storage through the residence along with enhancements to the owner's ski locker."